Anybody else out there also a music therapy business owner? It happened to me by serendipitous accident. I have worked in special education in schools since the beginning of my music therapy career and I still do. Working with children who have special needs is definitely right where I’m supposed to be. For the longest time my answer was no. Until one day in when it wasn’t. I said yes to ONE family, then another and another. And things just multiplied! Today I have myself and 3 team members. 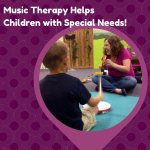 All kinds of music therapy goodness is happening in our community and it is fabulous! If you follow Rachelle Norman over at Soundscaping Source, you may have heard her talk about B2B vs. B2C. B2B stands for “Business to Business” and B2C stands for “Business to Consumer.” In her business, Rachelle primarily works with other businesses and companies via contracts. But in mine, I serve primarily individual families. Or technically consumers. So B2C. Today I am sharing 5 things that I have learned running a B2C business. And trust me, it was incredibly hard to choose just 5. What is your superpower? Seriously. We all have them. Chances are, if you are reading this, one of your superpowers is music therapy! But what else? Are you always thinking in the future? Do you believe the best about each person you meet? Do you have the ability to make things happen? And trust me, if you are sitting there thinking, “Well that’s great, but I don’t have a superpower.” I am here to tell you, you are WRONG. 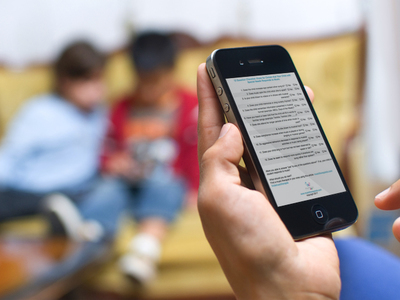 Have you heard of the Gallup Strengthsfinder 2.0? My team and I took this test and spent time talking over the results one week. It was so helpful to be able to label our strengths and identify how this applies to us as music therapists, as a team member, and in our personal lives! Honestly, there are many great tools out there to help you identify your superpower. Find the one that works for you! About those pesky weaknesses. Like our strengths, we all have areas of improvement. I think that awareness is key here. If we know what it is that is holding us back or keeping us from being the best version of ourselves, we can work on making it better. 2. Families want to feel connected to you. Ok, here is my second lesson learned about dealing directly with families. 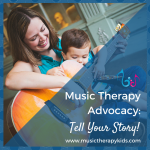 We answer calls all the time from families who are interested in learning more about music therapy and how it can help their child with special needs. We also offer a complimentary consultation so that the families can come in and meet with us. Whether you also use that technique or disagree, one thing I have learned by meeting families over and over again is that they want to connect with YOU. They want to feel like you care about them and that you are here to help however you can! Many times I have witnessed new therapists make the mistake of focusing solely on the child during the phone call and initial session. It’s a learned skill and we always talk about this topic during our supervision meetings. Yes, we are ultimately there to help the child. But if you haven’t spent time nurturing the parent and getting know the family in additional to the child, they aren’t likely to stick around long. It’s a different mentality compared to working directly for a facility or through a business to business contract. But it works for us! This is a good one. Oh man. There is no way I could have grown our business (or continue to grow for that matter) without help. 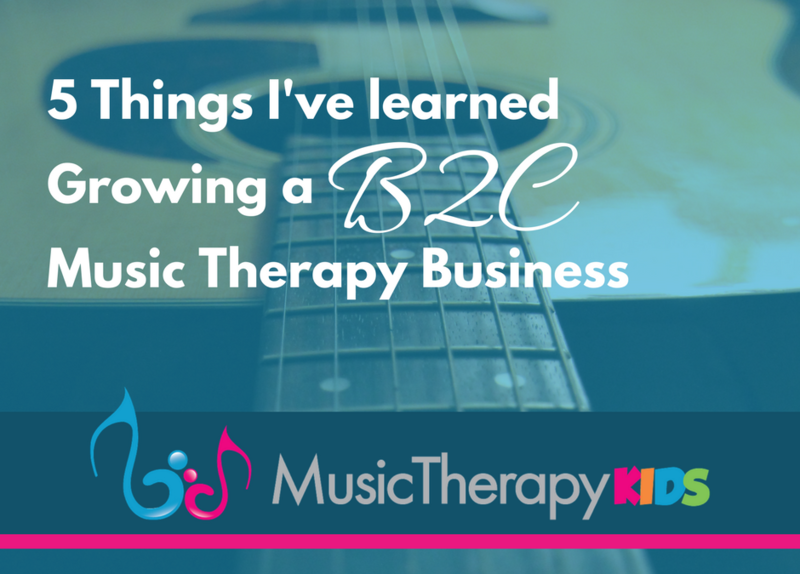 I kid you not, the day I discovered the Music Therapy Business Owners facebook group was life changing for me. I spent 3 hours just scrolling the archives. I realized there was a group of likeminded people out there walking a similar path, facing similar challenges. My mind was blown! So beyond a likeminded community/facebook groups, where else can you seek help? Local music therapists, SCORE, paid mastermind groups, paid coaching, CMTE courses, family support, other professionals like your lawyer or CPA. The list goes on! Ones that sticks out notably for me is the CMTE course I took from MusicTherapyEd.com about clinic spaces. Before that course, having a dedicated space was a pipe dream. After the course, I knew my path forward and was well equipped for the first leg of the journey! Also when my first employee gave her notice, I was heartbroken. But everyone has their own path and no one will be as invested in your business as you. So, I cried and then picked myself up and sought out a paid supervision call with an experienced music therapist. That ended up being the exact help I needed to move forward. So where will you find help? I encourage you to thinking about all the resources that are available to you. As our B2C business has grown, we have continued to refine the systems that work for us. For me, this is always a work in progress. I want to know when better, more efficient, or more affordable options become available so we can improve our family experience! What systems do you need? Or better yet, what systems do you not need? I’m sure I’m leaving something out, but you get the idea! Systems make everything easier and repeatable. It takes so much less brain power once the system is in place. Every time I have reached a milestone or accomplished a goal, I have faced new challenges. And the scary thing is I am not yet nearly where I want to be! I’m still seeking help in many ways and figuring out how to grow music therapy in the our community and overcome the challenges that present themselves. The path of growing our B2C business has been a slow and steady journey. Progress happens by taking small steps over time. Which of course frustrates me because I love for things to happen with the snap of a finger! But alas, patiences and persistence is the name of this game. Here’s a quote that I also placed on the program of one of our music celebrations. I love the words and felt it was fitting for our families. I think it is fitting for this article too. 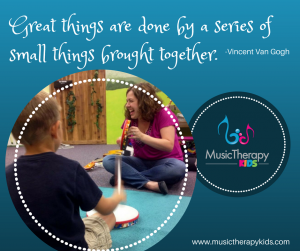 Keep on keeping on, fellow music therapist! If you are still reading, I am grateful. 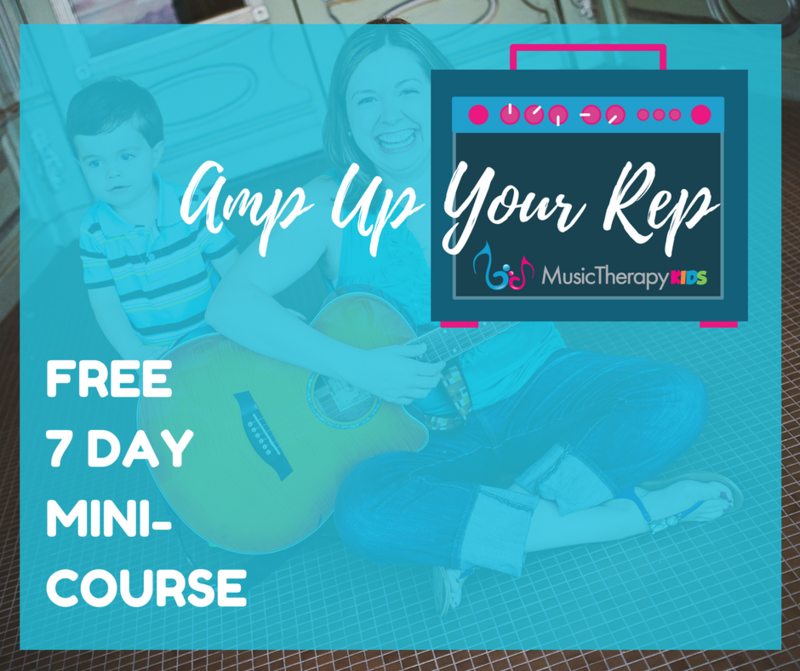 I know this is a bit of a departure from the usual Music Therapy Kids topics but these lessons are a part of me and my journey as a music therapy business owner working with children and their families. Can you relate? I would love to hear from you. You can reach me directly at mary@musictherapykids.com. 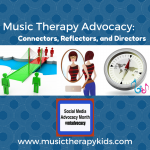 Music Therapy Advocacy in 2016: Are you a connector, reflector, or director?